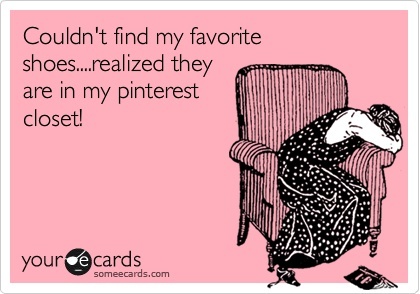 Although Pinterest is excellent for food, fashion, and all sorts of other ideas, sometimes it makes me sad. I so wish my Pinterest closet was real. I have to come a point where my style is evolving but the clothes I currently have don't go with that style anymore. I really wish I could get rid of (almost) everything and start fresh. I really love the feminine kind of retro 60s look and anything preppy. If I could, I would probably only wear skirts and dresses because that is what I feel the most comfortable in. My style icons are Jackie O, Zooey Deschanel, Kate Middleton, and Blair Waldorf. These are a couple if the items I wish would simply appear in my closet. Over the next few weeks, I plan on cleaning out my closet and starting to really put together a wardrobe that is feminine, preppy, and classy. Wish me luck!